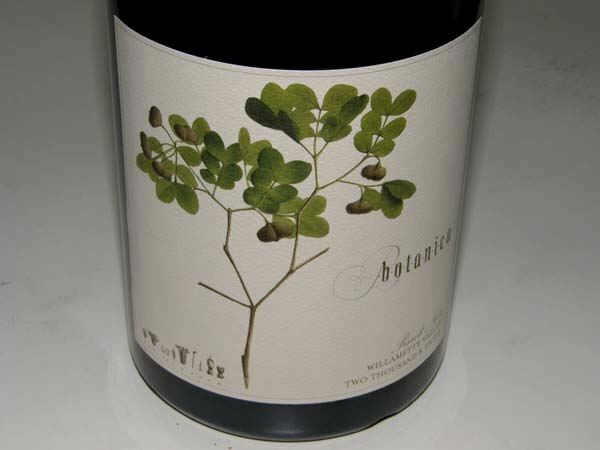 2008 Antica Terra Botanica Willamette Valley Pinot Noir 185 cases, $75 The nose is reticent initially, becoming more charming with time in the glass eventually showing a melange of berry fruits, Herbs de Provence and a hint of oak. Lovely depth and richness of flavor featuring the entire array of berries including boysenberry, blackberry and strawberry with an underpinning of savory herbs. A charming wine with supple tannins, bright acidity and fruit all in perfect harmony. Needs plenty of foreplay (decanting) to drink now. A magnificent effort that will reward long term cellaring. 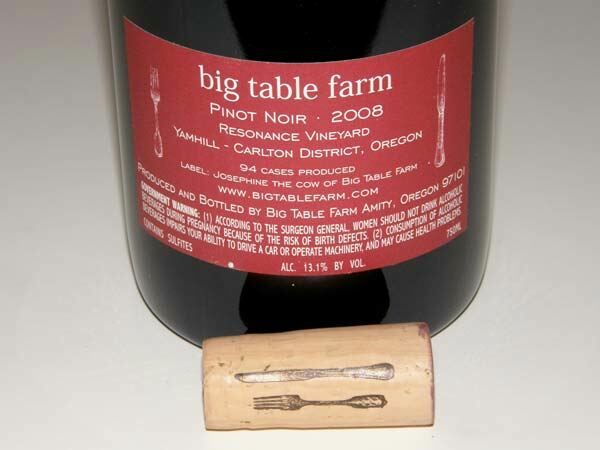 2008 Big Table Farm Resonance Vineyard Yamhill-Carlton District Willamette Valley Pinot Noir 94 cases, $45 Rich, deep, brooding dark red fruits with a savory underpinning of chanterelle mushrooms, loamy earth and cardamom spice. This wine has impressive intensity on the mid palate, a pillowy texture, and a finish like a three hour movie you don’t want to end. Still a little closed, seemingly possessing more hidden charm waiting to get out. Cellar this wine for at least two years for ultimate gratification. Love the low alcohol (13.1%). A very heavenly and sensual pleasure. 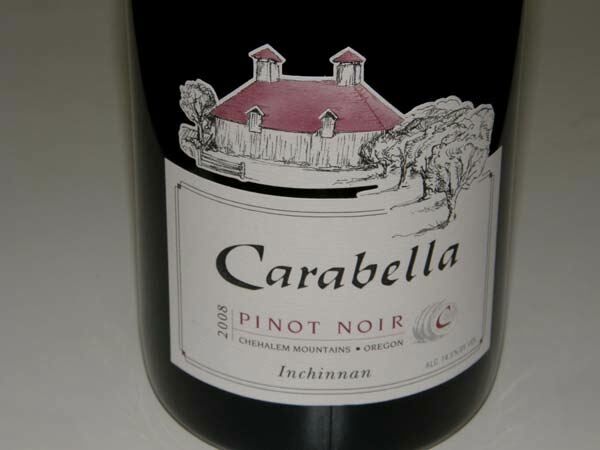 2008 Carabella Inchinnan Chehalem Mountains Willamette Valley Pinot Noir 150 cases, $54 Moderate reddish-purple hue in the glass. Picks up aromatic intensity in the glass over time offering a plethora of aromas of dark stone fruits, allspice, rose petals, and a hint of cut flowers. Delicious dark plum and blackberry fruit flavors with a bit of sauvage, with eye-opening mid palate intensity, yet still only hinting at its future potential. Very smoothly textured with amazing persistence on the prodigious finish. A benchmark Pinot Noir for Oregon in 2008 that will be nothing short of spectacular in five years. 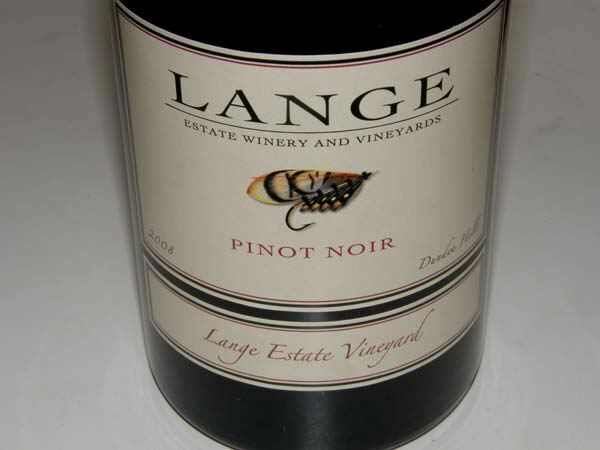 2008 Lange Estate Winery & Vineyards Lange Estate Vineyard Dundee Hills Willamette Valley Pinot Noir 295 cases, $60 Dark reddish-purple color in the glass. Very complex aromatics that constantly change in the glass revealing a diverse perfume of dark fruits, baking spices, underbrush, toast and smoke. Charming dark red and black fruit profile with well integrated oak toast and spice. Impressive persistence on the aromatic finish that sails along. Big, yet more demure than the Lange Freedom Hill bottling with more emphasis on redder fruits. Beautifully composed with welcoming harmony. Definitely needs more time but can be a dinner table centerpiece now with decanting. It is wines like this that make Pinot my paramour. 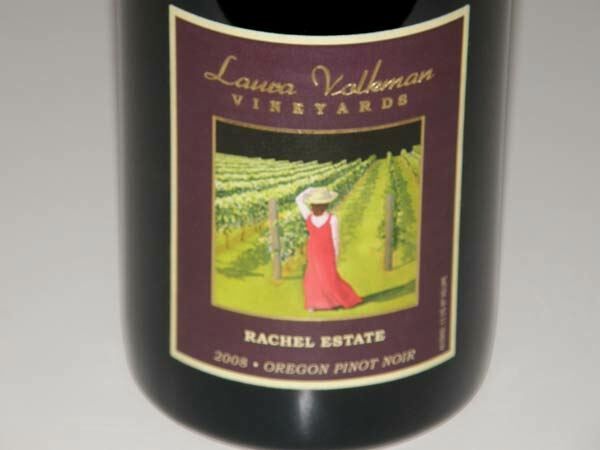 2008 Laura Volkman Rachel Estate Chehalem Mountains Willamette Valley Pinot Noir $40 Moderate reddish-purple hue in the glass. Very charming scents of plum sauce, mixed berry tart and spice box that led me to write, “You gotta be kidding me!” The attack of dark red cherries and berries is ripe, juicy and vivid augmented by flavors of cherry skins and savory herbs. Slightly more weight than the 2007 version of this wine, but not weighty. Finely tuned tannins and impeccable balance. The cherry aromas linger on the finish for more than 30 seconds. This is the kind of Pinot Noir that drives normal people to do almost anything to get their hands on some. Very approachable now, but built to last another 7 to 10 years easily. 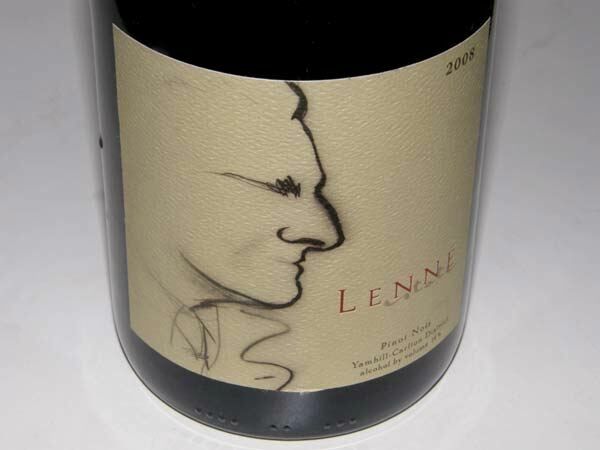 2008 Lenné Estate Yamhill-Carlton District Willamette Valley Pinot Noir 496 cases, $45 The nose (see label) offers a panoply of different red and black fruit aromas including cherries, strawberries and red currents with an underpinning of smoky oak. Flat out delicious array of pristine fruit including black raspberries and cherries. Lovely accents of loamy earth and mocha. Highly persistent and intensely aromatic finish. A seamless wine from a magical piece of dirt. 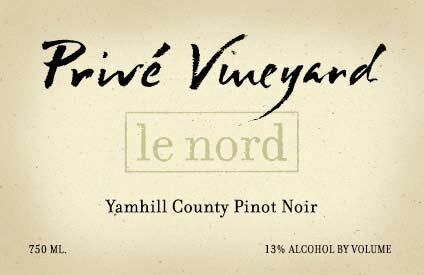 2008 Privé Vineyard le nord Yamhill County Willamette Valley Pinot Noir$49 Moderate reddish-purple color in the glass. Lovely aromas of black cherries, black raspberries and a hint of exotic spices. Rich and forthcoming with a blackberry and black cherry core clothed in caressing tannins and possessing the right touch of balancing acidity. More lush and forward than the Privé le sud bottling. A dreamy wine with a creamy texture that is approachable now but will benefit with more time in the cellar. If this wine was a lover instead of a wine, it is the one that would make you abandon your family, leave your job, and forfeit your hard-won position in the community for just one more fling. 2008 Shea Wine Cellars Block 22 “Last Hurrah” Yamhill-Carlton District Willamette Valley Pinot Noir $55 Moderately dark reddish-purple hue in the glass. Demure but pleasing aromas of fresh red berries, graham and violets. Delicious core of red cherries and blueberries. Beautifully composed with vivid and well-focused flavors, fine ground gossamer tannins, a velvety texture, and an amazingly long and aromatic finish that is flat out stunning. 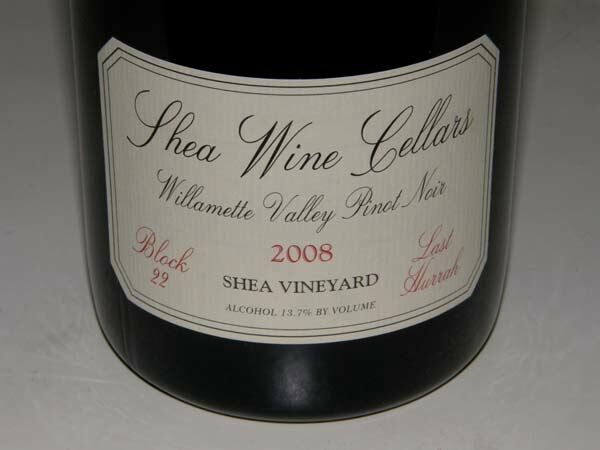 A wine to treasure that is the last of its kind from Shea Vineyard. Drink some history. 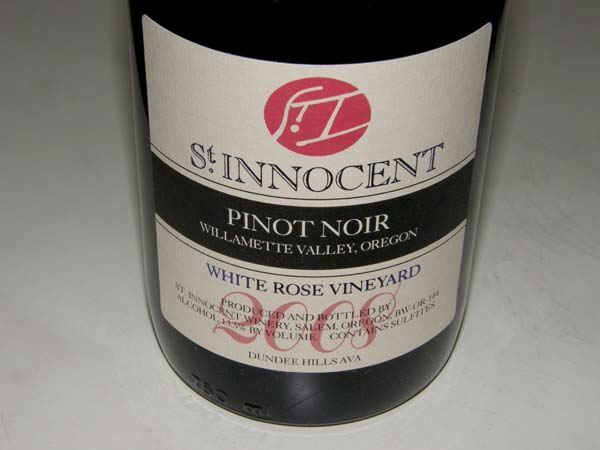 2008 St. Innocent White Rose Vineyard Dundee Hills Willamette Valley Pinot Noir $60 Moderate reddish-purple color. Shy but lovely perfume of fresh pie cherries with a sniff of smoky oak. An immensely satisfying wine offering delicious black cherry and berry flavors with a hint of citrus peel in the background. Astonishing persistence of cherry essence on the finish. Silky in the mouth with balanced supple tannins. This wine really grabs your attention and holds on. You can drink it now with grilled salmon, but it will be even better with more time in the cellar. 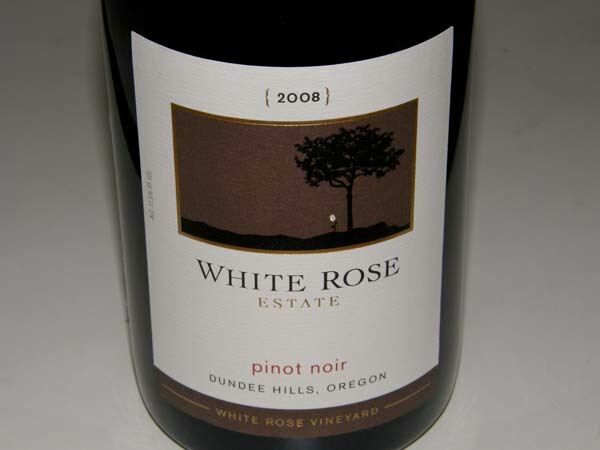 2008 White Rose Estate White Rose Vineyard Dundee Hills Willamette Valley Pinot Noir 176 cases, $75 Moderately deep ruby color in the glass. Shy but haunting aromas of black cherries, grilled meat and spice. A black tie, sophisticated wine that is still a bit stiff and formal and needs time to unwind. That said, it offers a perfect balance of perfectly ripe cherry and berry fruit, vital acidity and refined tannins. The silky mouth feel adds to the allure. The beauty of this wine grows on you over time in the glass and is spectacular the next day from a previously opened and re-corked bottle. Very classy, age worthy juice. 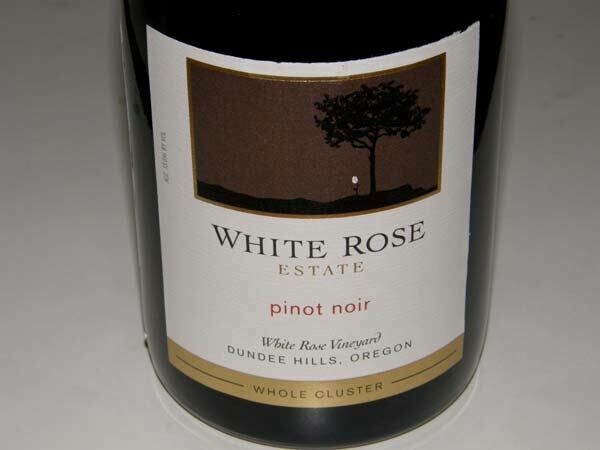 2008 White Rose Estate Whole Cluster White Rose Vineyard Dundee Hills Willamette Valley Pinot Noir 98 cases, $75 Gorgeous perfume of cherries flush with baking spices including cinnamon, with added notes of rose petals and sandalwood. Happy to just smell this wine. Stylish and expressive on the palate, the luscious fruit is alive with charm accented by exotic spices and edible flower with plenty of firm tannin to balance the fruit. Never fades in the glass, pumping out lively aromas and flavors until the glass is emptied. I am a sucker for whole cluster done right and this wine really delivers.